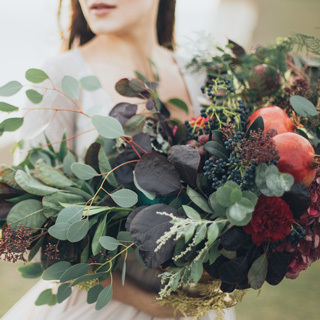 Putting your invitation together can be tricky! 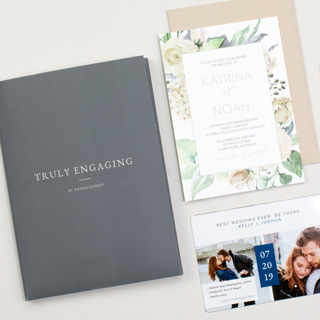 Take a moment to learn the proper way to put your wedding invitations together. It will save you time and headache in the long run! Position the envelope so that you are looking at the back. The flap will be on your left. Insert your invitation. Left edge goes in first. 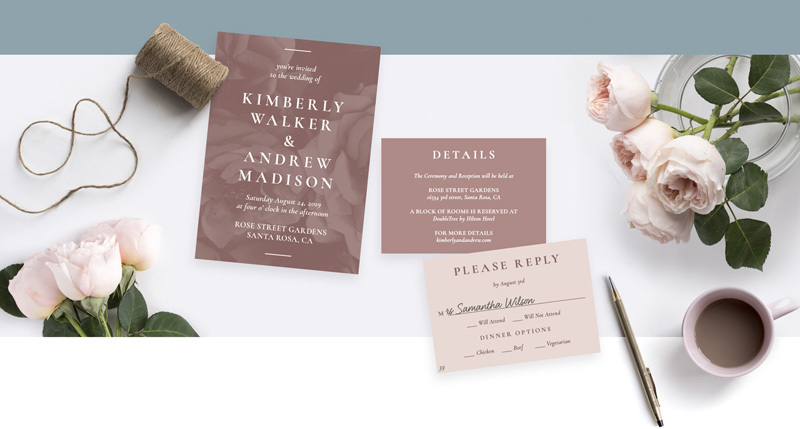 Accessory stationery items are placed in the same direction as your invitation—​with the smallest on top. Place RSVP on very the top. 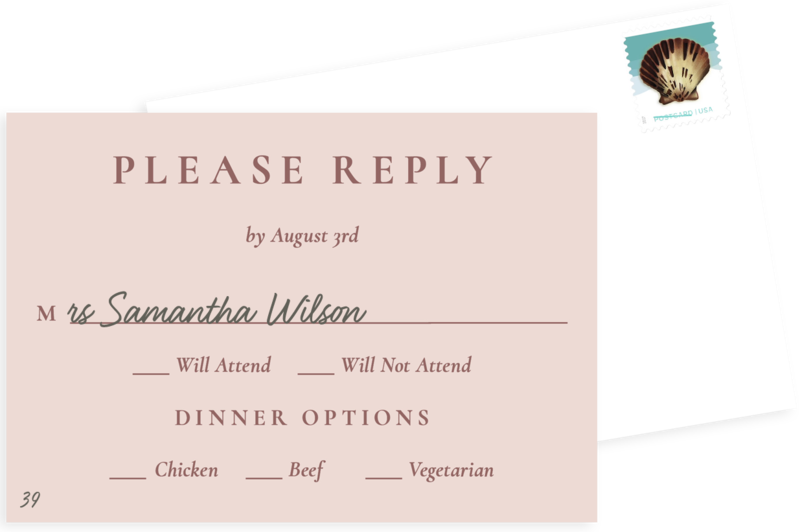 If there is an RSVP envelope, tuck the RSVP Card into the envelope flap. Stamp your RSVP before you begin! 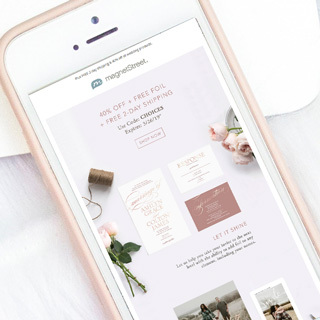 It's courteous to stamp the RSVP for your guests, and you can save money by getting a postcard stamp. Batch this process before you begin stuffing your envelopes to make it go faster. Number your Guests on your list and place that number on the RSVP so it's easier to track who has responded. Just be sure to get thier number in the correct envelope! First, insert the enclosure cards into the pocket, with the tallest in the back and the rsvp in front. Then you can seal your invitation with a vellum band or a sticker. The enclosure cards are inserted into the pocket with the rsvp in front. Then you can seal your invitation with a vellum band. 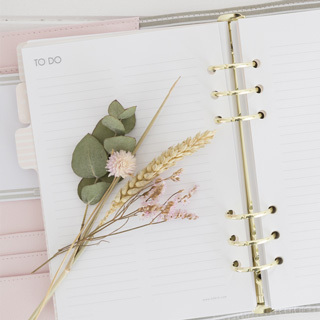 stay organized and on task. in any colors you want!